Firefighter Birthday Party game ideas in Scottsdale, AZ. 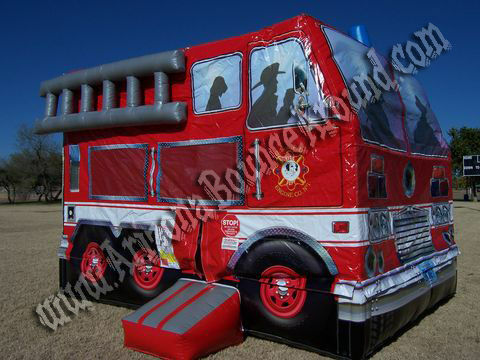 This inflatable fire truck will look amazing at your fire & rescue party. 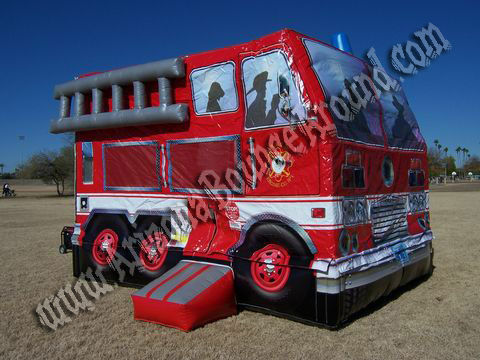 Our Fireman Fire truck Themed Bouncing House will be a big hit at your next Fireman themed party or event. This beautiful inflatable Fire truck bounce house features a big 15 X 15 bounce area and 2 inflatable ladders on the sides with its beautiful printed art work all the way around. 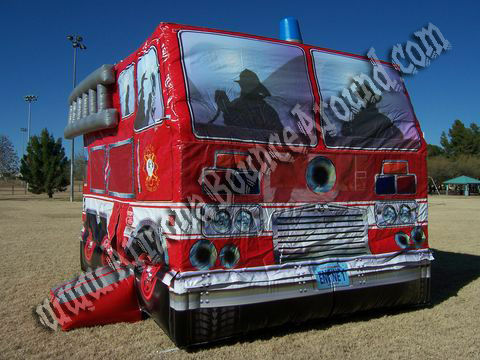 This inflatable Fire truck will fit right in with any Fireman private or company picnic or party. Leave it to Arizona Bounce Around to have all the unique bouncers including Fireman Fire Truck themed Bouncers and Jumpers. Adults and kids of all ages can play on this bouncy. We also have a 5& 1 Fireman themed bounce house with a slide and obstacles inside. Watch the kids bounce and play at your next fireman party by renting it today! 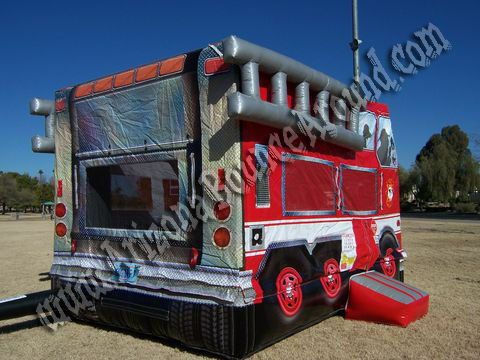 Add a Fire Truck or Fireman themed Obstacle Course for only $199.00 to this Fire Truck Jumpy Bounce House and have a real Fireman Challenge at your next Party in Arizona.